My mission is to help equip ordinary people to lead extraordinary churches, groups, classes, ministries, businesses, teams, families . . . whatever you lead! 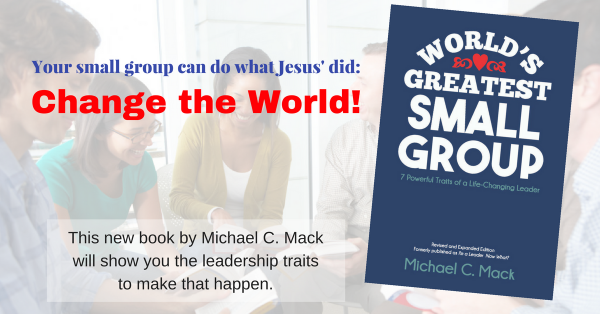 To that end, I share these leadership TIPS each weekday on Twitter, Facebook, and LinkedIn. Then I compile each week’s TIPS from Twitter here on Fridays. Please share them with your friends. I’ve made it easy for you! #Leadership #TIPoftheDay: As you meet with others, be completely #present and #engaged with them. #Focus. #Listen. #Leadership #TIPoftheDay: The best leaders didn’t seek leadership. They are called to it and often surprised by it. #Leadership #TIPoftheDay: Healthy spiritual leadership is #influence only to the extent that God is influencing you. #Leadership #TIPoftheDay: Lead each person under your care according to their level of progress. Throw out formulas. The most powerful thing God offers us is his presence with us. See an obstacle in your way? That’s an opportunity for God to show his power. Read all our Leadership TIPS. Just click here!